The mission is simple: serve delicious, seasonal, locally-produced and handmade-with-love food. Food that nourishes the body, feeds the soul and builds community around it. We buy local, change our menu with the season, and all of our proceeds go to support Ophelia's Place. In 2009, Café at 407 opened its doors in Syracuse, NY as a place to provide community, while also supporting the work of Ophelia's Place: a nonprofit dedicated to changing the culture and conversation around eating disorders, body image and body dissatisfaction. 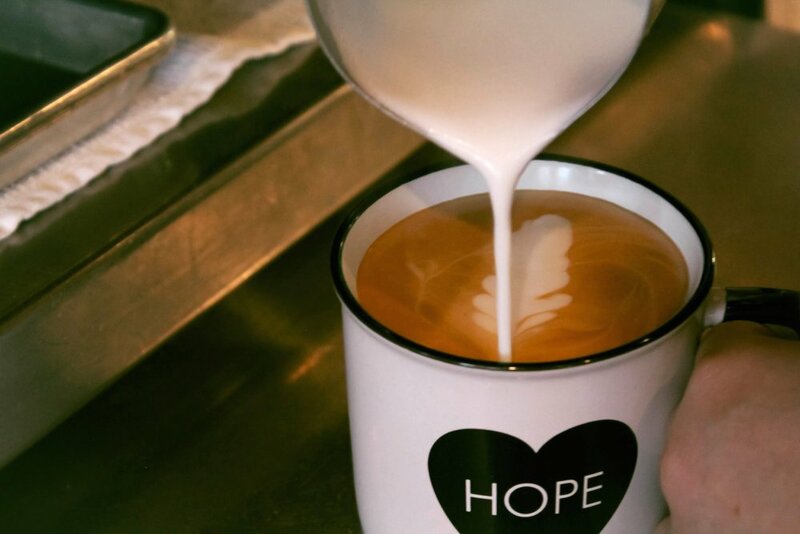 The café erases the line in the sand that divides the mental health community, and reduces the shame and stigma without minimizing the struggle of those who suffer. From the beginning, our focus has been on sustainability and locally-sourced products, working directly with farmers and local artisans on everything from the aesthetics of the cafe to the house-cured ham we feature on our seasonally focused menu. Together these commitments say that we are here as a community, and we embrace all who come through the doors for support, for treatment, for coffee. The café is a place where all belong … a place where we are not alone. 100% of the proceeds from Café at 407 go directly to fund Ophelia's Place, making our café specials and baked goods all that much sweeter.